Earn $89.99 in VIP credit (8999 points)What's This? 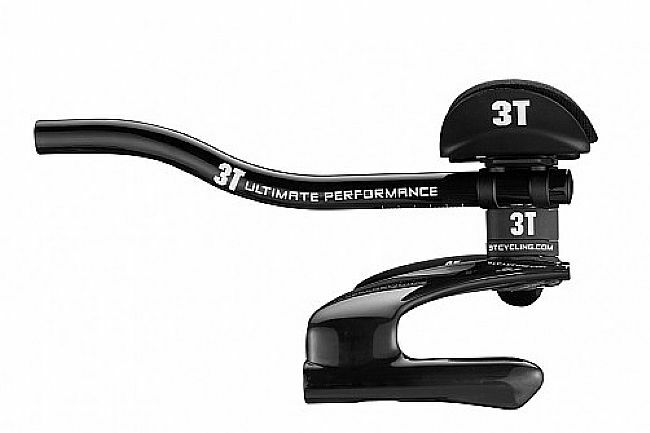 The 3T Revo LTD Aerobar follows in 3T's heritage of aerodynamic pioneering, featuring an ultra-light full carbon construction. 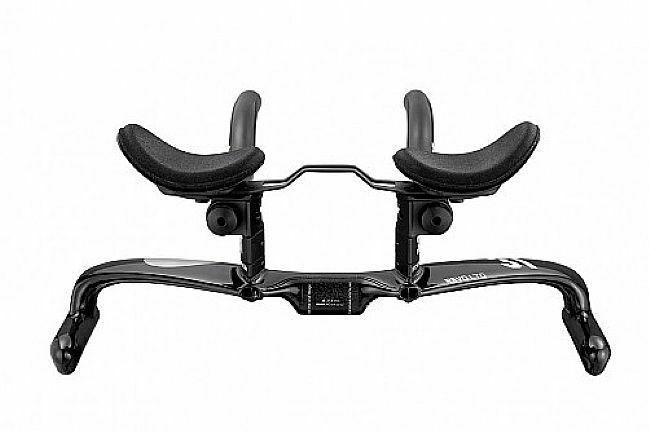 This revolutionary design flips the traditional basebar wing design 180º, making it safer and easier to use at all times through better grip and improved aerodynamics. 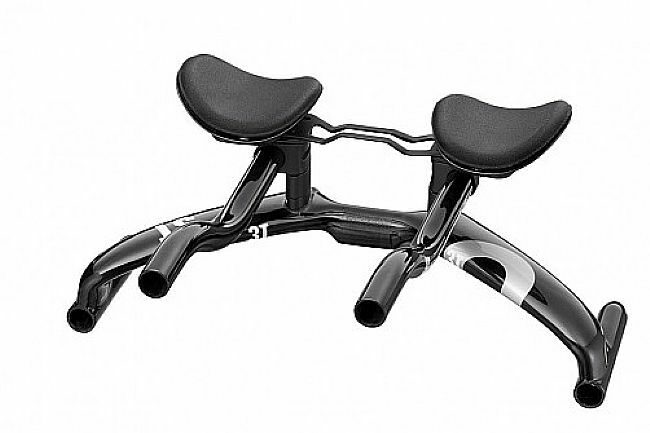 The Revo's wing section offers internal cable routing, being Di2 compatible and UCI 3:1 compliant as well. 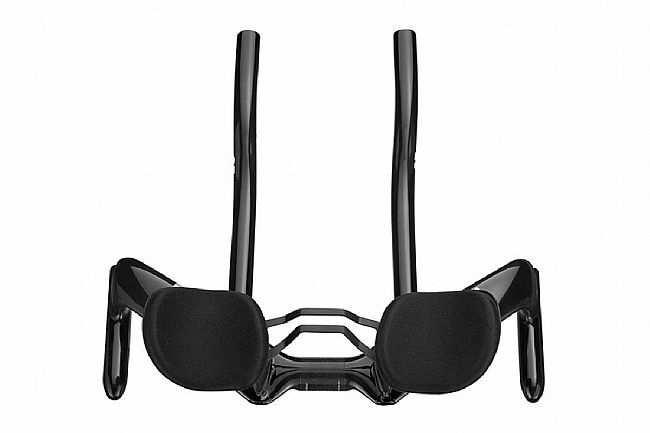 The alloy extension bars are fully configurable to actualize even the most demanding fit. Furthering its versatile flexibility, the arm pad stack height ranges from 30mm in the low position to 97mm when using all the included spacers in the top-mounted position. Basebar material: High Modulus Carbon fiber. Extensions material: High Modulus Carbon fiber.